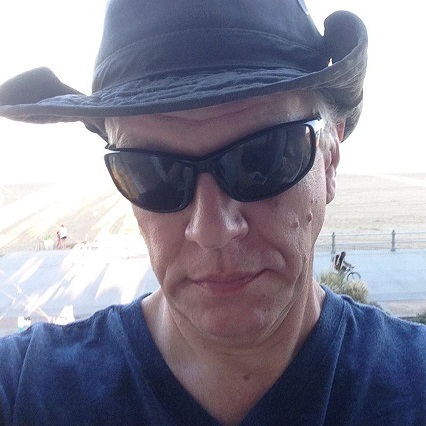 Interview: John Daniel Taylor IV "The Strange"
JMH: What is The Strange? JOHN: The Strange (or just Strange) is the name given to the offspring of genetically altered humans in the future. They are anomalies that are created from the blending of altered DNA at a molecular level between parents. Our main character Beko, forced to runaway as a child and hide in the Sea Beds, is Strange. This information is unknown to him when the first issue starts. The reader will discover the secrets of Beko and his world as they travel through the books with him. JOHN: A lot of times I describe The Strange as a Science Fiction story with a hidden Super Human agenda. But it is not just that, it is so much more. This is a brief explanation. 300 hundred years before our story starts in 2688, two devastating Natural Disasters have occurred within a small space of time. The Earth is plunged into a mini Ice age creating mass extinctions and death on the planet. The oceans recede leaving vast open areas of ocean beds on the shores. Glaciers build in the northern Hemispheres. Of course, Scientists understood what was going on. For the first time in 75,000 years, Humankind is facing extinction! As time went on, more Scientists began to band together to save the dwindling population. In the end, they were forced to use artificial means to extend the lives of millions. Now, in 2688, the need for these technologies has vanished, but they have become ingrained into society and have become part of the culture. These new Humans are called Transhumans. They are the blending of machine and human from the Molecular Level up. The organic human being is slowly being phased out for the New Evolution. Transhumanism can have many forms. For some it can be a fashion statement while for others it is a religion, a way to become the perfect human: The Posthuman. To achieve this condition a human must become fully artificial. This can be a biological or mechanical transformation or even a combination of both, but the goal is to become a fully artificial being. This technology, the molecular DNA sometimes referred to as nanites, is controlled by the Fuller/Epsilon Corporation and has been under the Epsilon family control for 300 years. They consider this DNA proprietary technology and are the full owners. After Death, a person must surrender these machines back to the Company. This process is done in Reconstruction Chambers, a machine that breaks the human body down to basic components and extracts the Molecular and Biological Machines. While hidden from the public, The Fuller/Epsilon Corporation is aware of the anomalies called The Strange. Only a few people in the underground organization called The Occupation know of their existence. JMH: Does The Strange have supporting characters and if so can you tell CBI about them? JOHN: There are quite a few Supporting Characters in the story, so I will name a few. Pretty Boy is the first person to discover Beko (the hero) after he detonates in the desert. He is ugly and disliked hence the name Pretty Boy. His real name is long forgotten. He is an opportunist, unscrupulous and unkind, but Beko does not see this in him. The Occupation is a group that opposes the further Genetic Manipulation of humans. Their leader, Orphan is a mysterious character with a disfigured face that is hidden behind a cloak and goggles. He is closely followed by Lady White. Little is known about her past. She hides her face with a mask because of her strange cybernetic powers. The villain of The Strange is called Mr. Epsilon, one of the owneders of the Fuller/epsilon Corporation. His DNA was corrupted by a failed experiment. Now bits of metal build up in his system and slowly force themselves out through his skin. Occasionally he must have them removed. The removal procedure is painful and he undergoes them without anesthesia. And the character that always gets an uplifted brow when I say her name, Useless Girl! After a genetic procedure that saved her life, the once socialite became a violent killer with a vampire need for genetics. Teased by her friends when she was young, she chose the name Useless Girl after her personality changed! JMH: Was The Strange inspired by anything from your past or real life experiences? JOHN: If anything, the Strange is driven by love for Classic Science Fiction with strong characters and stories. My favorite writers are people like Bradbury, Asimov and Herbert. They are all world builders of Hard Science Fiction. For The Strange, I like to write with that kind of genre in mind and a little bit of Sueprhuman and pulp too. 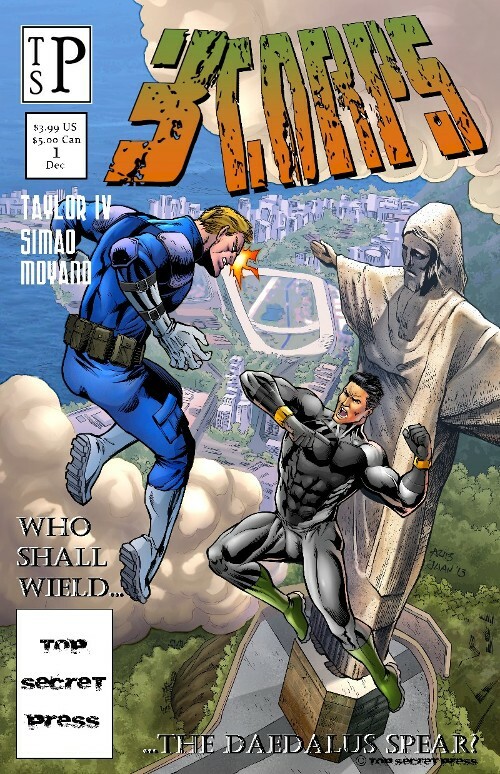 JOHN: I guess they do, but I want readers to enjoy a strong story with a good blend of action and drama. There are several messages in The Strange, but they would take way too long to describe here. JOHN: Francisco Menor is the artist of The Strange. He is currently involved in several other projects other than The Strange. He is also the cover artist for The Strange Issue #2 cover A and C.
Jay Moyano, Colorist, should not need an introduction to Top Secret press Fans because he has been with TSP from the beginning and colored the interiors of all of our books to present. And this is only a small bit of his work. He also works for Angry Viking and in the past Ape Entertainment. 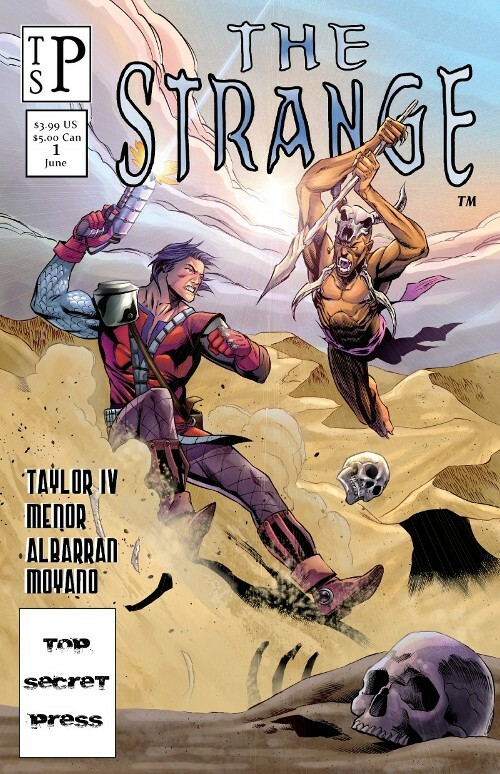 Francisco Javier is the cover artist for the Limited Edition Cover B of The Strange #2. A digital artist, he did all the work on the cover. JMH: Will The Strange be released in digital format, web comic, or print? JOHN: The Strange will be released in a Print Edition with 3 covers and in digital format with covers A and B.
JMH: Where can fans get a hold of The Strange? JOHN: The Strange will be released in Digital format on Comixiology and on the Top Secret Press Web Site. If you want a print copy you can also support us right now on the current Kickstarter for The Strange #2. We have an incentive for those that want to catch up on all the current Top Secret Press products too. Alternately you can go to the Top Secret Press website to buy printed version too. JMH: Finally, is there anything coming up in further Strange stories, or other projects you want people to know about? JOHN: Currently we are running a Kickstarter for The Strange #2. This introduces Useless Girl, a character that readers are demanding. Don’t let her name fool you. She is anything but useless! Betty Wicked, Modern Witch, #2 will be our next project in mid-year followed by 3CORPS #3 in the Fall. I also have one or two other projects in development at the moment, but all I can’t talk about them right now. But keep your eyes out! JOHN: Don’t sit behind your computers or art tables! You need to find out what the general public thinks of your product, not you family and friends. While these people are excellent support, if you want an unbiased opinion then don’t be afraid to seek the outside world. Don’t afraid to talk to people! click here to support the Kickstarter!! !